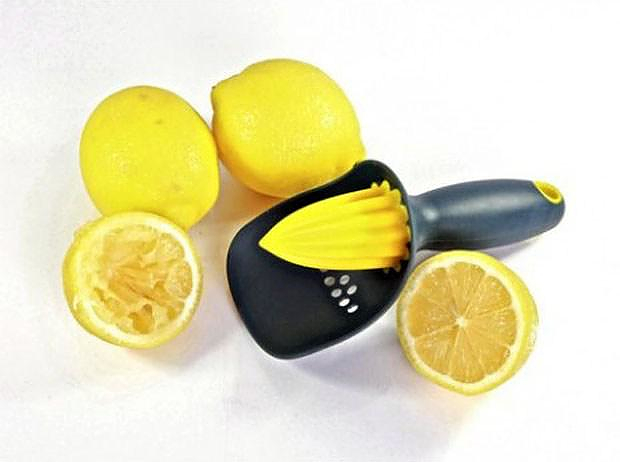 HomeBlogHome DecorJoseph Joseph Catcher, Citrus Reamer. 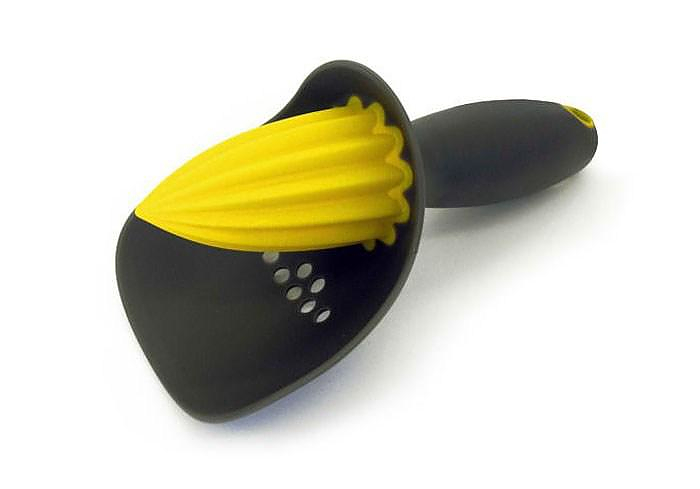 Catcher was designed by Graeme Davies for Joseph Joseph, the famous London based cookware firm, and is exactly the citrus reamer I always imagined using. I have never used a citrus juicer before. Probably because it always seems faster to simply grab a fork and squeeze a lemon directly on my food. So every time I was squeezing a lemon, I accepted that there will be some pips in my food. Joseph Joseph Catcher Citrus Reamer clearly extracts the juice better than the fork, while it keeps the pips out of my food, simple and practical. With its soft rubber cup underneath the reaming head, the Joseph Joseph Catcher effortlessly catches any debris, whist allowing juice to drain through. 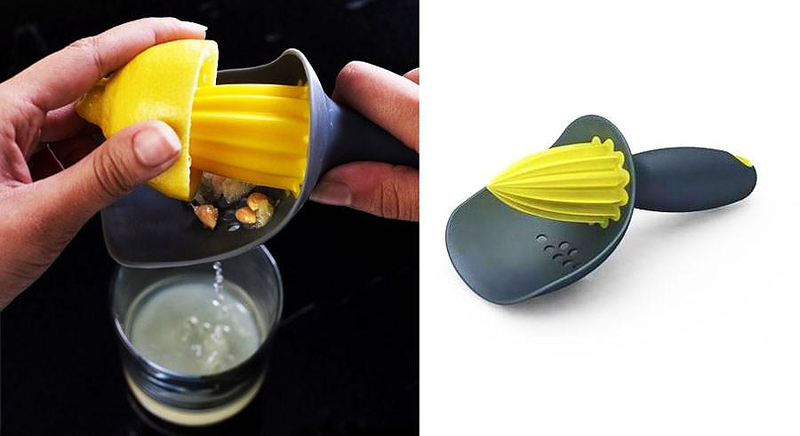 In addition it’s ergonomic handle is more comfortable and allows for faster squeezing than a horizontal hand juicer. The Catcher is perfect for all kinds of citrus and soft fruits, while its funky and modern design will match any contemporary kitchen bench. I particularly like the objects that offer superior functionality and style through simplicity, and the Catcher Citrus Reamer is definitely one of those items. 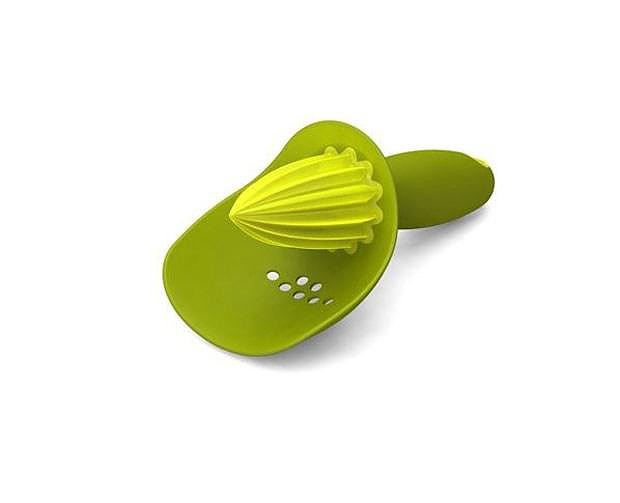 This awesome hand-held juicer comes in yellow with a black collar or light green collar, made of flexible rubber. It is also dishwasher safe.